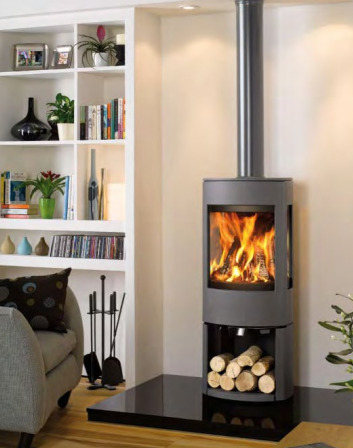 Similar looks to the Astroline 3CB, this model is also available in either woodburning or multi fuel versions and with a choice of pedestal or wood store bases. Featuring an extensive front window and glass side panels, you are able to enjoy to the full the exceptional swirling flames produced by Dovre’s very latest cleanburn system. An external combustion air facility also helps to reduce draughts in the room as well as improve heating efficiency. And with up to 10kW of warmth that’s a very cosy thought for any winters night.